NutriBullet Only $89.99 At Kohl's! You are here: Home / Great Deals / NutriBullet Only $89.99 At Kohl’s! 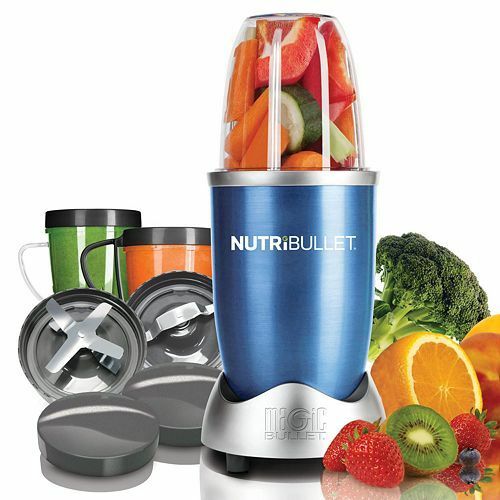 NutriBullet Only $89.99 At Kohl’s! If you haven’t had a chance to try one of these, you will be amazed at how well this blends! It’s like nothing I’ve used before! Turn ordinary food into nutrient-dense drinks or snacks with this NutriBullet system! Qualifies for FREE shipping or buy online and pick up in store! Milling blade grinds nuts, raw chocolates and more. Recipe book includes a six-week transformation plan. Lip rings easily attach to cups, turning them into drinkware. This NutriBullet system is Only $89.99 At Kohl’s this weekend! Down from $119.99, and available in 6 colors, this is an fantastic blender. You will make the best smoothies you’ve ever had!